Customer Satisfaction is something that Netwoven always takes seriously while determining the best route to benefit our customers. 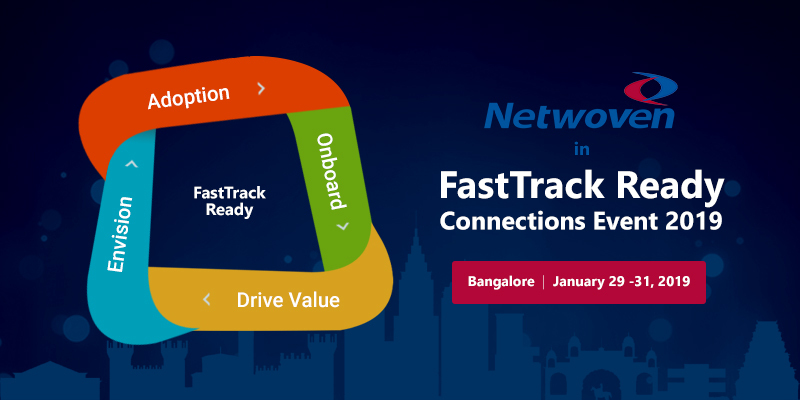 Keeping the momentum alive - this year we are participating in FastTrack Ready Connections Event in Bangalore. It is 3-day deep dive training and face-to-face conversation where a variety of tracks will help empower our delivery teams with enriched information on Microsoft Products and services. This is the key to ensure that our customers are able to deploy Microsoft cloud solutions at no additional cost for the life of their valid O365, Azure or Dynamics 365 licenses. Sunny side of this event is that our team will be able to put forward the known challenges, gain insights, achieve business objective about the products and services directly from the people who developed them. Netwoven is sure to gain an edge above other competitors in the market and lead customer engagement as FastTrack partners with access to best practices, tools, offers and expert guidance for customers digital transformation. All the attendees will enjoy hands-on learning session as well as an optional third day of business meetings with program and product managers. What tracks will be there in the session? There will be four tracks to enrich our knowledge. This knowledge will further enable us to drive better benefits in various customer-driven scenarios. Track 1 - FRP Program and Method Role – This track will focus on how to participate in the FastTrack Ready Partner Program as well as what is the FastTrack Method and how we can make use of it in our business. Track 2 - Enterprise Mobility + Security (EMS) Role – This track is going to focus on the topics covering a range of FastTrack specific guidance and deep dive training. Track 3 – SharePoint Online Modernization Role - This track is focused on enabling FastTrack Ready Partners to leverage the SharePoint Online Modernization materials, best practices, and customer-facing content. Track 4 – Microsoft Teams Role – This track will cover topics on FastTrack specific guidance and deep dive training. In the past, we have achieved a consistently high satisfaction rate from those clients to whom we have supported through the FastTrack program. To drive similar customer satisfaction and provide additional business value, we love attending these events. Get customized and enhanced Microsoft solutions/services at a cost-friendly budget. Gain access to Microsoft resources to facilitate scenarios like change management, business transformation etc. Will keep you posted on the information we gathered in this exciting session. Do follow us or check our blog!